Marietta Shaginyan (1888-1982) is not one of the first names that comes to mind when you think of Soviet/Russian literature. I, frankly, have never read any of her work. The first time I ever heard of her was when I was in grad school and my colleague Cynthia Vakareliyska told me she was writing a research paper on Shaginyan. I had to ask who that was and Cynthia’s response was enough to make me carry Shaginyan’s name in my mind with a deep sense of curiosity for the last 30+ years. Shaginyan was a highly controversial figure, but she was fascinating. Of Armenian descent, she was born in Moscow, was well educated and became active in public life at a relatively young age. She graduated from the history and philosophy department of Moscow’s Higher Women’s Courses in 1912. She became friends with Zinaida Gippius and Dmitry Merezhkovsky during a trip to St. Petersburg that very year, and she went on to study philosophy in Heidelburg from 1912 to 1914. She worked for several years as a newspaper reporter and she taught aesthetics and the history of art in the Rostov-on-Don conservatory from 1915-1918. Not bad for someone just reaching the age of 30. Much of the rest of her life was equally full and eventful. She ended up winning most of the “great” Soviet awards during her life, including a Hero of Socialist Labor award, the Lenin Prize, and the State Prize of the USSR. You didn’t receive honors like that for nothing – see below. 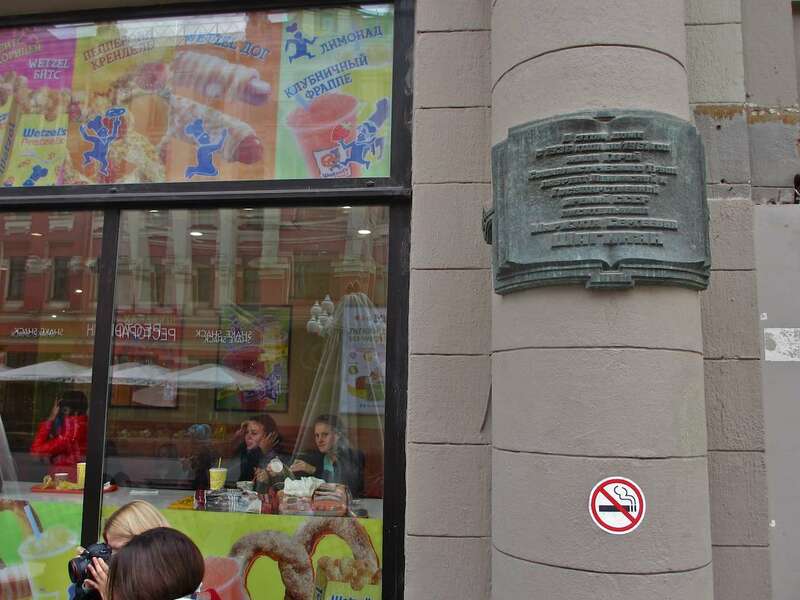 These awards are trotted out on the plaque that hangs by the doorway at 43 Arbat Street, honoring the fact that Shaginyan lived there from 1936 to 1961. After spending five years in Armenia at the end of the 1920s, she returned to Moscow in 1931. And throughout the 1930s she continued her unusual life path. Suffice it to say that she entered the State Plan Academy to study mineralogy, energetics and weaving (!) and, after graduation, lectured on these and other topics at factories around the Soviet Union. She eventually earned a PhD in 1942 for her book on the Ukrainian writer Taras Shevchenko and she became a member of the Academy of Sciences of Armenia in 1950. And I’m just skimming, here, folks. 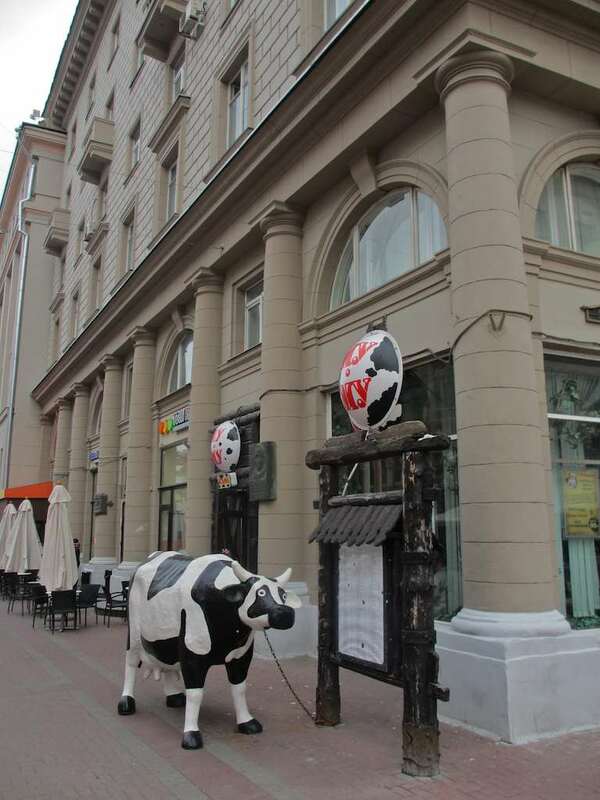 The Arbat today looks nothing like it did when Shaginyan lived here. There was no Moo-Moo Restaurant on the corner (see last photo below) and there was no Wetzels-Pretzels cafe next to the door Shaginyan would have used to come and go. 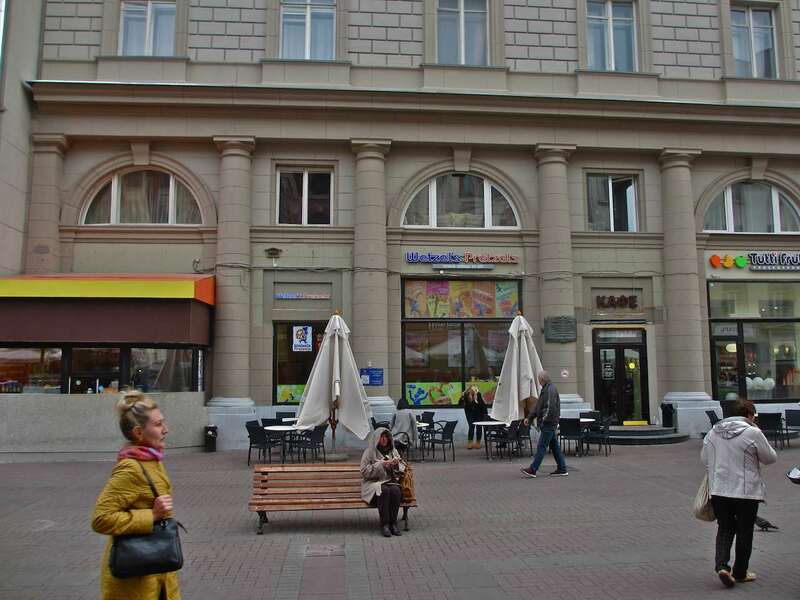 If the sanctions and economic crash currently underway continue much longer, these places may soon disappear from the current-day Arbat too, but that’s another topic. 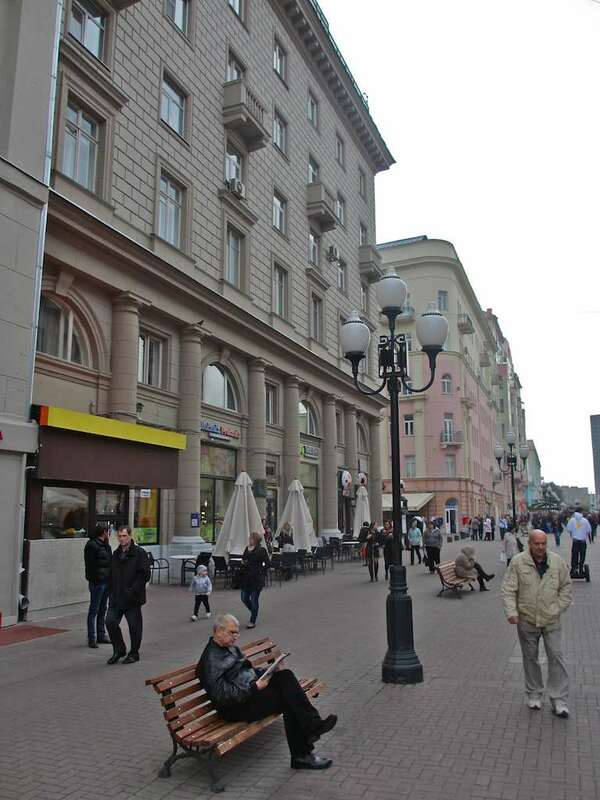 The Arbat in Shaginyan’s day was not a walking mall, but rather a cozy, regular street with two-way traffic on it. Shaginyan wrote her first poetry at the age of 15, in 1903. Over the next 10-15 years she published numerous books of poetry, some quite popular. Russian Wikiipedia, which I have plundered for much of the information in this little text, declares that in the ‘teens the Russian public appreciated Shaginyan’s poetry more than that of Marina Tsvetaeva. A ten-day trip to Germany in 1914 apparently caused Shaginyan’s political sensations to awaken and, after the Revolution, she wrote numerous prose works putting forth a woman’s point of view on a changing world. But it’s true that she earned some of the harshest criticism. It’s a fact that the Soviet era was a strange one, an unnatural one in many ways. People were bent backwards by the elements of the times. Some of them snapped. I’m not here today to defend, justify or condemn Shaginyan. I don’t know enough to do any of those things. She was obviously a strong woman and, I’ll tell you what, throughout history strong women usually have not received the benefit of the doubt. Still, questions arise, serious ones. But for me they remain questions. I also know that Shaginyan was attracted to such figures as Ivan Krylov, Johann von Goethe, William Blake, Sergei Rachmaninov, Vladislav Khodasevich and many others, about whom she wrote. Khodasevich himself wrote a small piece about Shaginyan in 1925. It is available in full on one of those wonderful internet library sites. In it the poet writes with a great deal of irony about Shaginyan’s ecstatic, perhaps even disingenuous personality. One other curious Shaginyan moment was brought to light by historian Alexander Kutenev. He declared in an interview in 2008 that Shaginyan, while researching a book about Lenin, discovered that the great Proletarian leader was gay. Shaginyan was moved to report this news to Soviet General Secretary Leonid Brezhnev, whose right-hand man Mikhail Suslov argued that Shaginyan should be shot. Brezhnev, however, called her in for a talk. According to Kutenev, a deal was made. Shaginyan would get the Lenin Prize for her book and, in return, she would bury her evidence and keep her mouth shut about her discovery. The House on the Embankment. Anyone want to argue that a picture isn’t worth a thousand words? One of the most famous buildings in Moscow, sort of across the Moscow River from another of Moscow’s famous structures – the Kremlin. The House on the Embankment was built in the early years of Soviet power (1931) and was intended to house important government officials and their families. It was designed by architect Boris Iofan. One of those government officials was the father of a young man named Yury Trifonov, who grew up to be one of the finest writers in the Soviet Union. 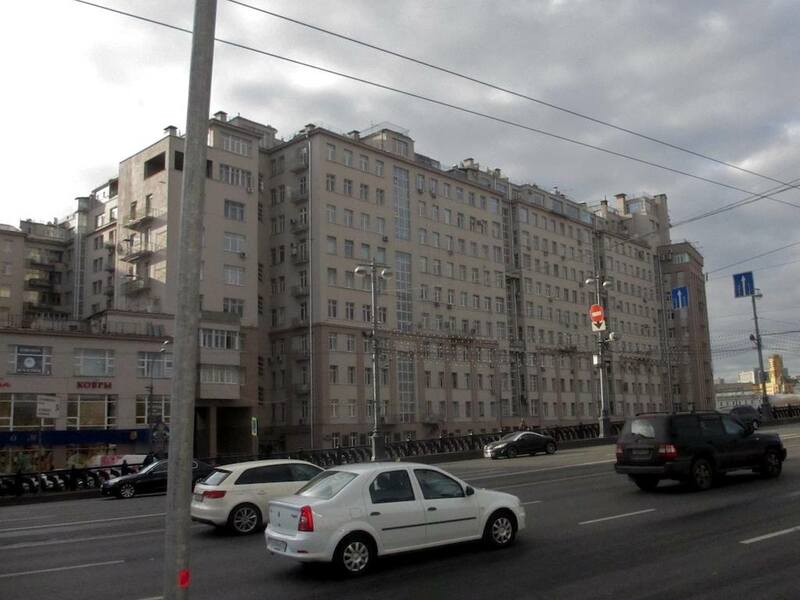 Yury’s father Valentin suffered the same fate as an enormous number of residents of this building – he was arrested in June 1937 and shot in March 1938. His son Yury wrote about that, and about others in the building who suffered a similar fate, in his great novel The House on the Embankment. 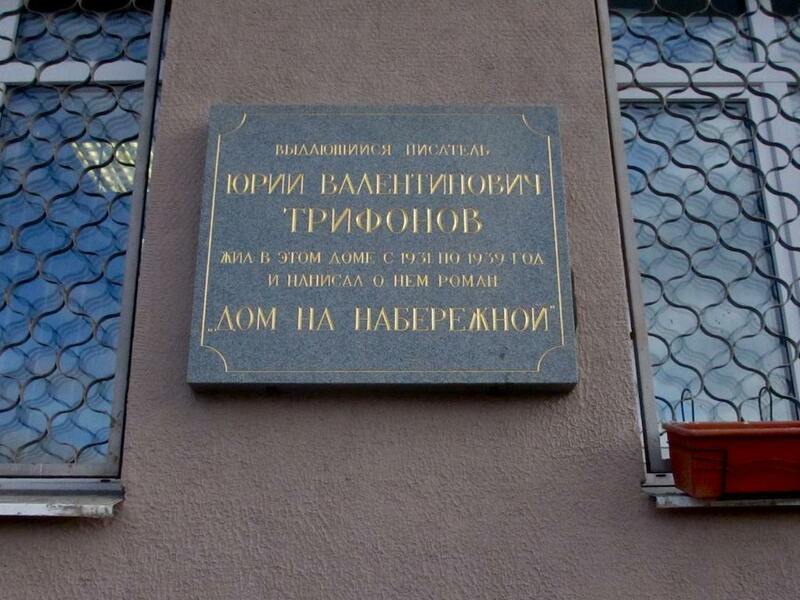 A plaque commemorating the fact that Trifonov lived here and wrote about the building was erected in 2003. The building itself is gorgeous in its massive, yet simple, way. 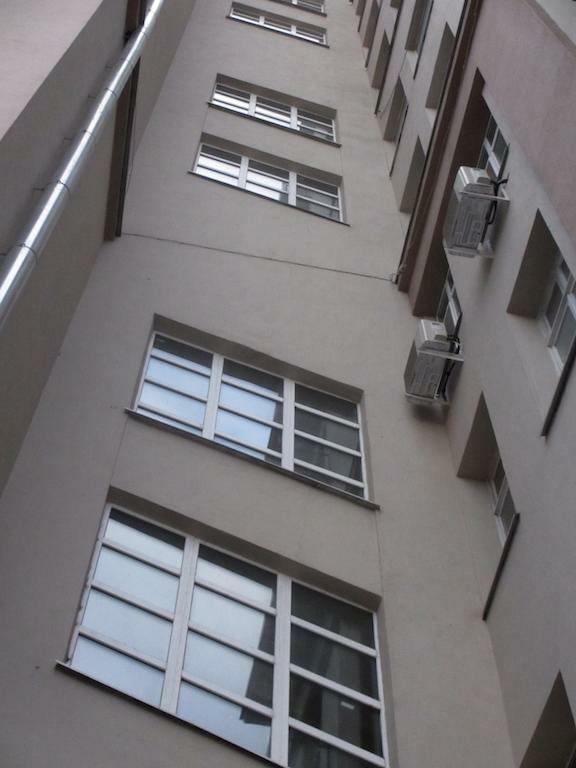 It is full of straight lines creating visual angles and is clearly a “child” of the Constructivist age of architecture. 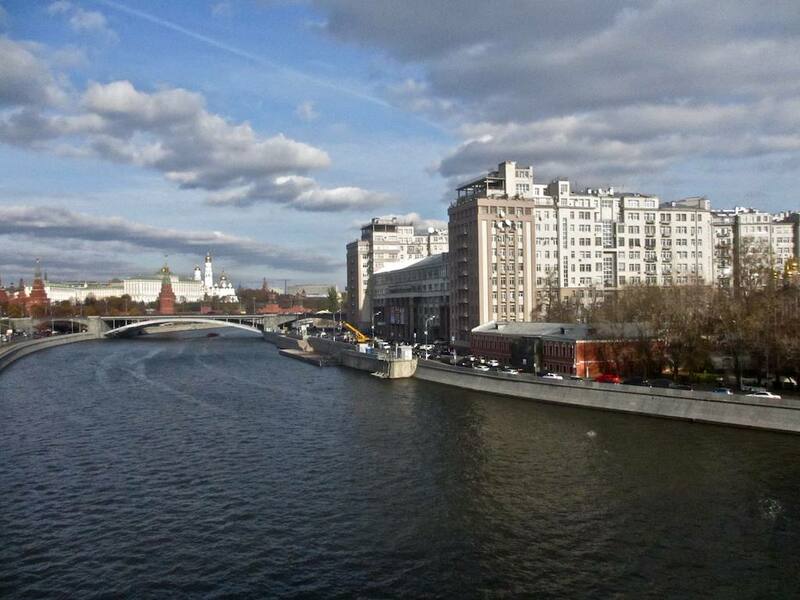 It is located on the Bersenevskaya Embankment along the Moscow River, and the front section houses a massive theater that seats some 2,000 people and today is called the Estrada Theater, something like the Variety Theater. 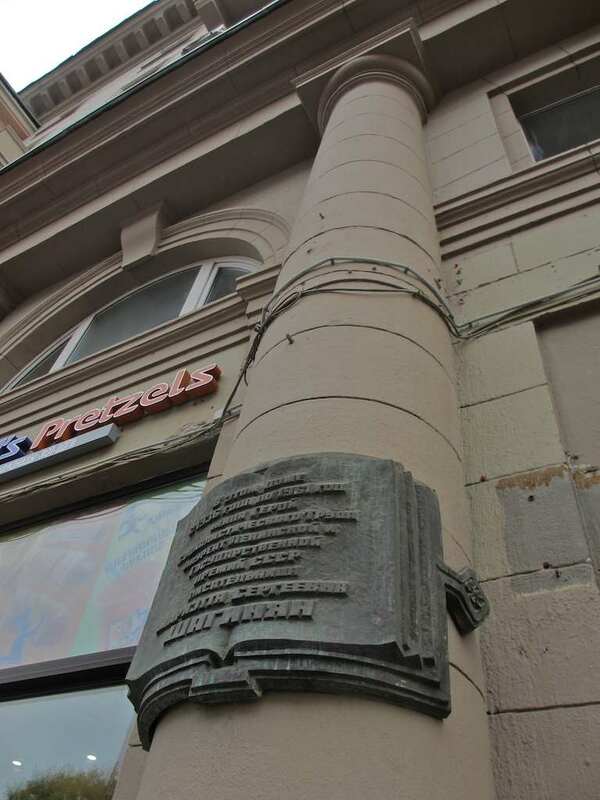 The street-level walls of this building are laden with memorial plaques to an inordinate number of famous individuals in the fields of politics, aviation, science, literature, theater and more. 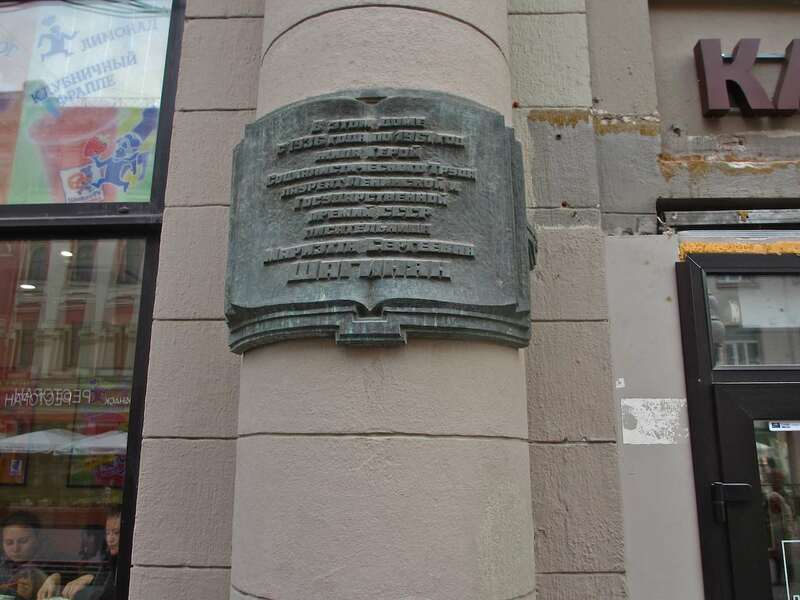 I will post some of those plaques at a later date, but this one is meant to focus attention on the building itself. I spent an evening in one of the apartments here many years ago. My wife Oksana and I were invited to tea by Marina Murzina, one of the leading Moscow theater critics and theater journalists at the time. 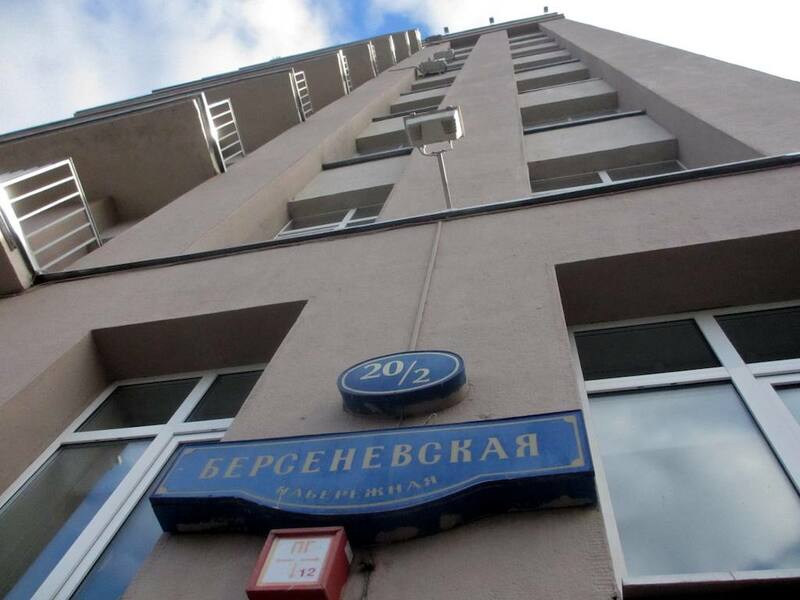 She grew up in the building with her father Alexander Murzin, a journalist who ghost-wrote the famous memoir Virgin Soil for former Soviet leader Leonid Brezhnev. 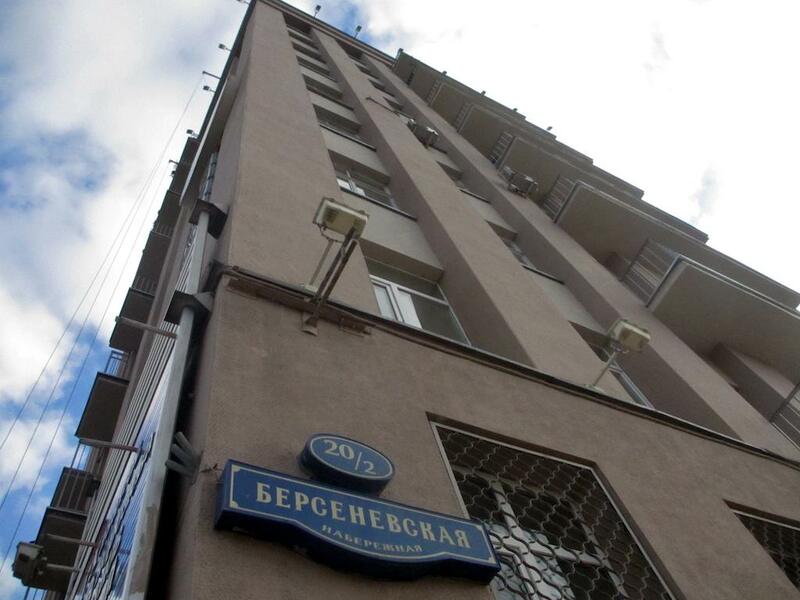 Brezhnev was awarded State Prizes for his literary prowess, while those who actually hammered that prowess out were awarded beautiful apartments in one of the nation’s most prestigious buildings.